With the holiday break, I made countless lists about cleaning and organizing. I added lesson planning and making some fun new projects for the classroom. I am teaching my Consumer Math class using the Stock Market Game and I have some preliminary lessons about investing that need to be created before February. However, I got sidetracked. Why? First I finished up a pair of socks I was knitting and then before the unit for investments and mutual funds could be started, I did a puzzle. I really like puzzles of all types. Puzzles get the credit for my love of mathematics. Or is it that because I love math, puzzles are fun? I am not sure which came first, but since I was very young, there has been a great love of puzzles of all types. OK, not crosswords. They make me think too much, mindless puzzle enjoyment is the theme for the day. 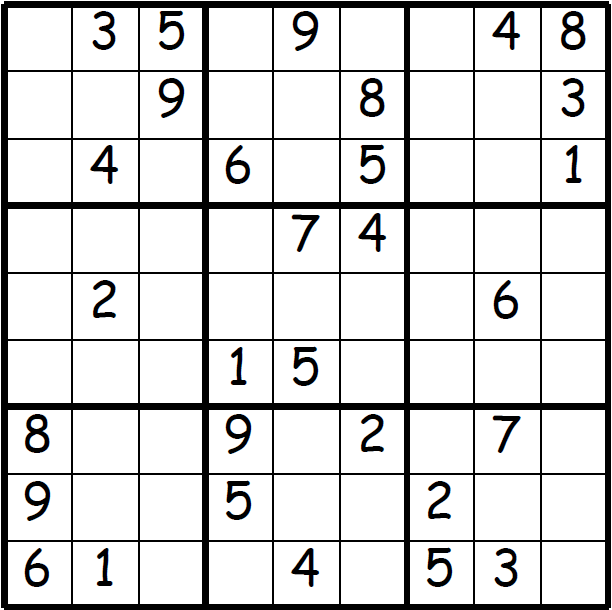 My favorites are Cross Sums–AKA Kakuro. You are given the sum of a row or column, you need to find the numbers that create that sum and you cannot repeat a number. These types of puzzles are wonderful for developing logic skills. I typically begin this type of puzzle by looking for the obvious answers. 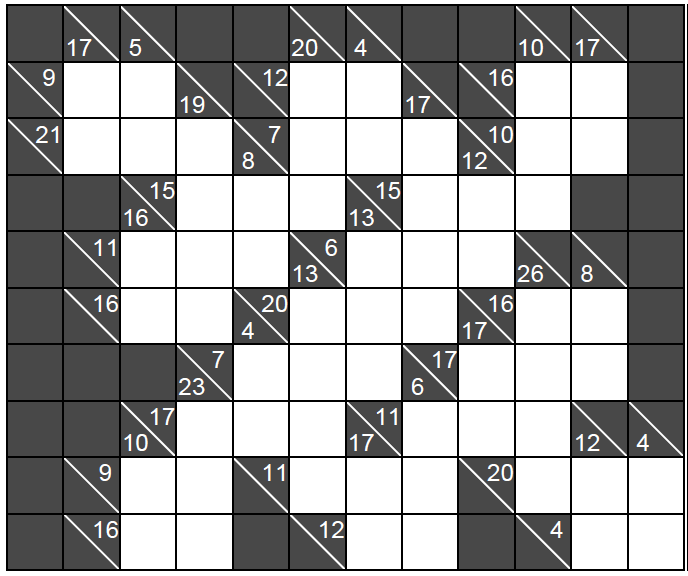 In the upper left-hand corner the column sums to 17 and the row is 9. The only combination that creates a 17 is 8 + 9 and since zeroes are not allowed, the very corner box has to be an 8. 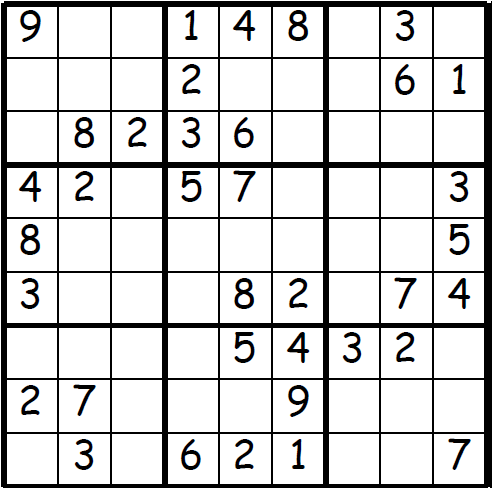 By process of elimination, you can finish the surrounding squares. 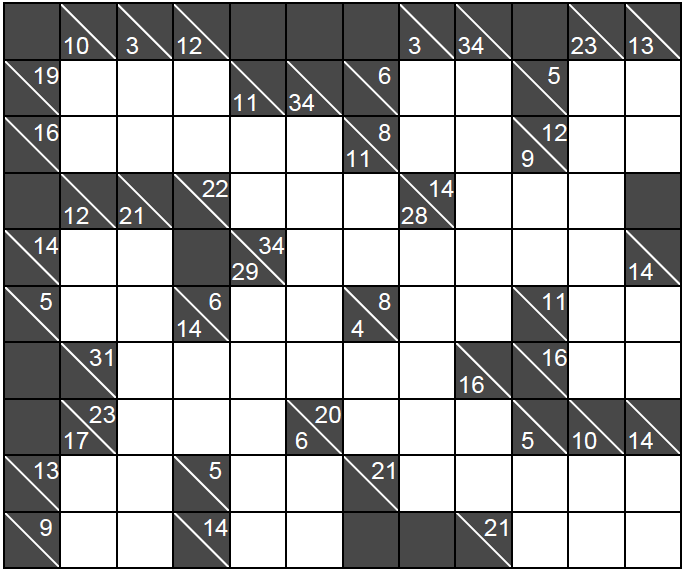 The other easy starting place is when a row or column sums to 4. When students ask for extra credit, I hand them a puzzle. Sometimes I begin their puzzle journey with a sudoku. We work a few together and then they are on their own. The rules are similar. 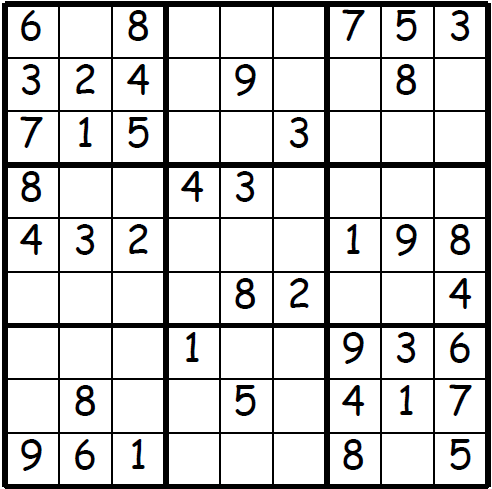 No number can be duplicated in a row or column or even the mini 9 square. I begin by noting which numbers are already entered. Notice that the 1 is in row 1 and in row 2, so 1 needs to be entered in row 3. And the only place to enter it in that first mini 9-square is in the first box. This version is a medium level, if this is too challenging for your students, try the easy level (more numbers are filled in). Students love word searches. I love creating them with a hidden message. This way, students must complete the puzzle instead of randomly crossing out letters and I can include a fun or interesting fact to them. Like subliminal messages. The answer is included as well as the hidden message. I hope all of you are enjoying a winter break for the holidays. If you are, consider making some puzzles to take back to the classroom for your students. Math is everywhere and we need to help our students see that it can be fun as well.